Karen Kahn concentrates her practice in ERISA and employee benefits law. For more than thirty years she has advised clients and drafted documents for defined contribution plans including 401(k) and 403(b) plans, ESOPs, traditional defined benefit pension plans, cash balance plans, Section 125-cafeteria plans, HSAs and HRAs, welfare plans including health insurance plans, wrapper plans, severance plans, and non-qualified deferred compensation plans. Karen provides legal counsel to more than 250 employee benefit plans. Karen provides advice and counsel to employers, health insurance agencies and others on the implications of the Affordable Care Act on health plans and other employer-provided benefit plans. She also advises group health plans and physician practice groups on COBRA, HIPAA compliance, domestic partner benefits, and on regulatory compliance for healthcare providers. In addition, she represents many clients filing under the IRS Voluntary Compliance Program and the Department of Labor Voluntary Fiduciary Compliance Program when retirement plans have compliance issues. Karen also advises on benefits issues in mergers and acquisitions. 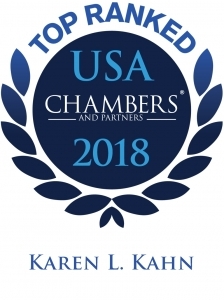 Chambers USA has recognized Karen in the area of Employee Benefits and Compensation, and is seen by several clients as one of the leading practitioners in the state. A client says, “Karen does excellent work, she is flawless and attentive. She was always on top of the matter and did everything smoothly and quickly. She pursued it with diligence and great success.” Best Lawyers in America® named Karen 2017 Employee Benefits “Lawyer of the Year” in Albuquerque. 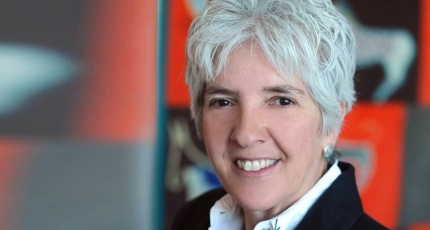 She is Chair of the firm’s Benefits/ Investments Committee, and is a shareholder in the firm’s Albuquerque office. Before joining Modrall Sperling, Karen worked as in-house counsel for an international life insurance company, as director of benefits and counsel for a large healthcare organization, and in private practice in California and Albuquerque. She clerked on the Ninth Circuit Court of Appeals for the Honorable Judge Harry Pregerson. Advised more than 250 employee benefit plans for profit, non-profit, governmental, and tribal organizations on qualified plans and 403(b) regulations, including drafting of plan documents and amendments. Guided several companies through the Internal Revenue Service’s voluntary correction program and the Department of Labor’s voluntary fiduciary correction program to maintain the qualified status of these 401(k), profit-sharing plans, and defined benefit plans. Corrections included non-amenders, discrimination test failures, late salary deferral deposits, non-compliance with the plan terms, failures to defer elected contribution amounts, inclusion of ineligibles, failure to follow plan terms, and many loan program violations. Advised clients on the advantages of using an ESOP for passing ownership of small businesses. Has negotiated bank loans for ESOP, drafted the plan documents for ESOPs, and represented ESOPs during audits. Represented a large number of cafeteria plans, wrapper documents and health reimbursement account plans, and have developed strategies to meet the employer’s goals for provision of benefits and compliance with new laws, including Affordable Care Act. Assisted clients with retirement plan audits and health plan audits. Karen has made presentations at numerous seminars on 401(k) plans, cafeteria plans, welfare plans, payroll practices, HSAs, Affordable Care Act and HIPAA.